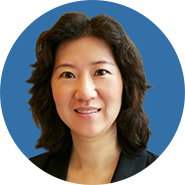 Dr. Tina Tianning Yu has more than fifteen years of professional experience working in the life sciences sector and the financing world of the healthcare industry. Dr. Yu is a Managing Partner of YuanMing Capital, a healthcare fund focusing on cross-border investment strategies and CEO of Mevion Medical Systems. She led the investment in BeiGene, Ascentage Pharmaceuticals and Mevion Medical Systems, etc. Prior to that, Dr. Yu worked for Vision Capital, a NYC-based investment management firm, as a Director of Investment, responsible for US biotech and China sectors. Before becoming an investor, Dr. Yu was a senior research scientist at Wyeth BioPharma, where she specialized in therapeutic protein development. She also worked for Fidelity, Morgan Stanley and Genzyme. Dr. Yu founded Matching Capital Partners to provide cross-border consulting services in the life sciences industry. Dr. Yu holds a PhD in Chemistry from Princeton University, an MBA from Harvard Business School, and a B.S. in Biology from University of Science and Technology of China.